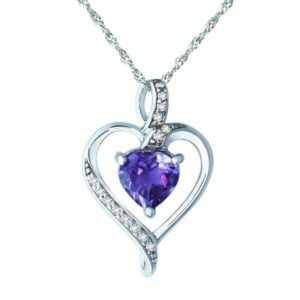 Fits most like a choker as it a close-fitting necklace that is worn around the neck. Chokers offer a variety of styles, such as the boho choker which resembles a flower child look. The classic black choker, wrap choker, metallic choker, and rhinestone chokers provide a sophisticated and stylish look. Typically, longer length chokers that are ideal for those looking for a short necklace without the necklace being too tight around one’s neck. 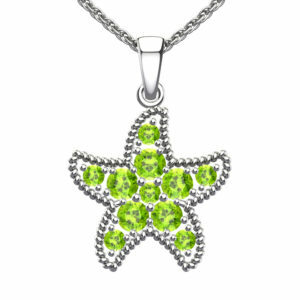 This type of necklace will hit the collarbone of a petite sized women. Ideal for someone 5’4 or below. 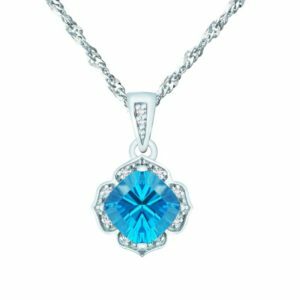 Commonly referred to as the princess, this necklace length will fall approximately one and a half to two inches below the collarbone. 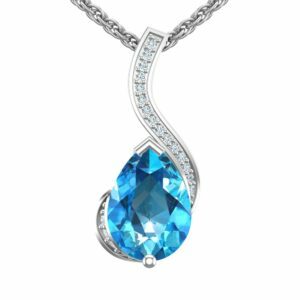 This is the ideal choice for a woman with low and high necklines. If you are not sure the length strand you would like that works best for your neck, then this size is the ideal choice. A necklace this size, is versatile and sophisticated. Ideal for open collar shirts, sweaters, and gowns. 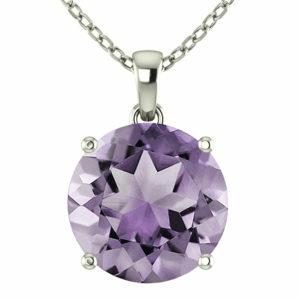 This type of necklace can be worn for a sophisticated event to a casual get together. The Matinee necklace lies near the top of one’s cleavage and will fall several inches below the collarbone. Ideal for low necklines, or if you are in the mood to wear a turtleneck. 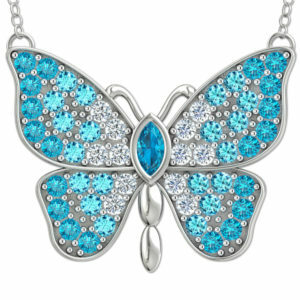 This type of necklace would make a splash at work, at a business function, or just as part of your everyday life. 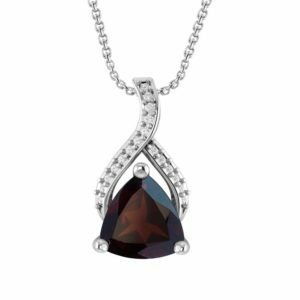 From sophisticated to casual, the Matinee length necklace will add intrigue and elegance to your attire. 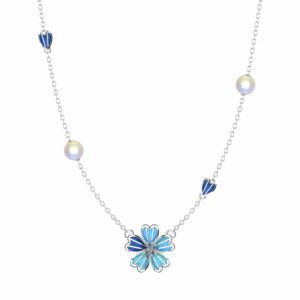 This style of necklace referred to as the Rope or Lariat, hangs between ones bosom and bellybutton. The Rope or Lariat as it is called, can either be a single strand or can double from the 18-inch necklace. Perfect for a night on the town in an evening dress and can even be worn for a business function. Variety of options exist for the rope length such as layering, doubling, knotting, tripping, or wrapping. 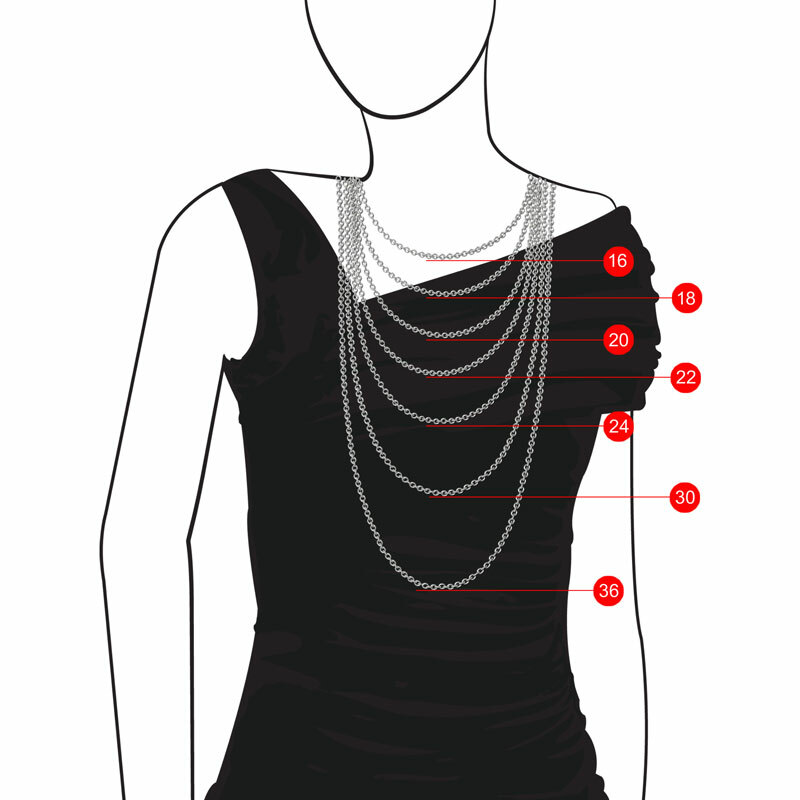 This is the ideal necklace length for someone 5’7 or taller, as it emphasizes your body figure. 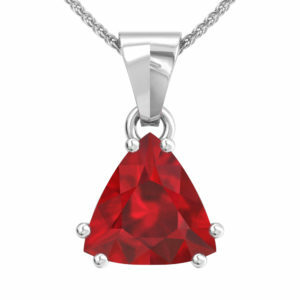 This short length necklace chain lies just above the base of the neck. This idea for men who would like to wear beaded necklaces above a crew neck t-shirt. This length falls approximately an inch below a mans Adam’s apple. 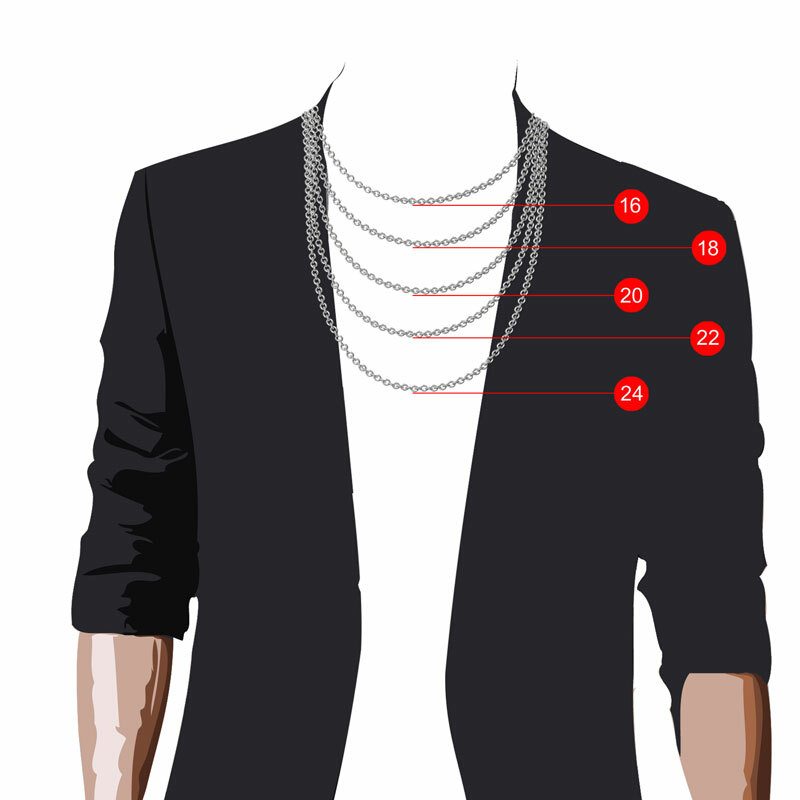 This popular necklace length for men, lies just on top of a man’s collarbone. This necklace length can be worn inside or outside a shirt. 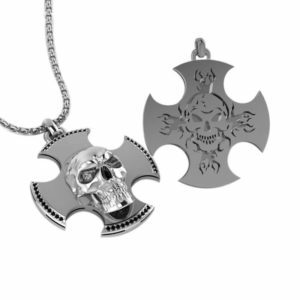 This is good for men who like to wear pendant’s, as the pendant will not sit to high or low on the man’s neck. This necklace length for a man, falls just above the sternum. This necklace length is well suited, for men who would like to wear a T-Shirt or a button-down shirt. A necklace length this size can still be visible with an open collar.